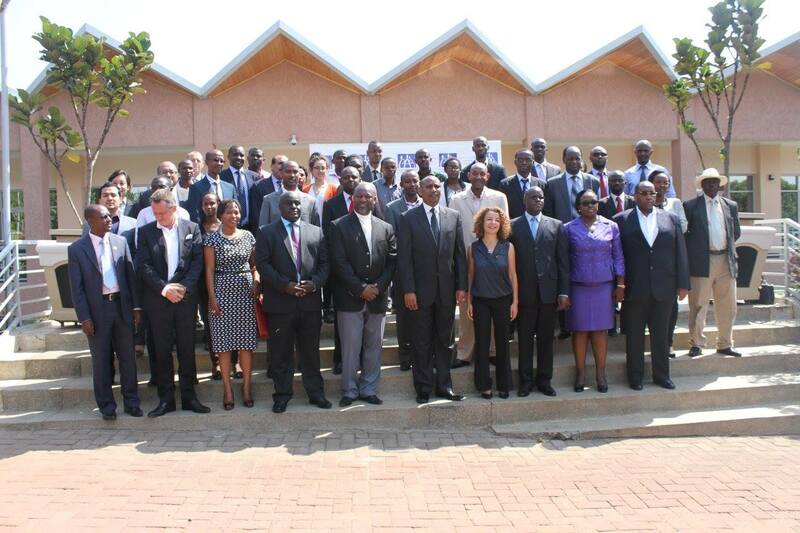 The first EPRN conference with the topic “Building Economic Research Capacity in Rwanda to Impact Change” took place on December 16th 2014 at Lemigo Hotel in Kigali and attracted around 70 participants. It was organized by IPAR (Institute of Policy Analysis and Research), through EPRN with funds from GIZ with the objective to strengthen economic researchers’ capacity. The event took place following rounds of training and mentorship in research techniques for selected EPRN Members from government, private sector and academic institutions covering a wide range of economic spectrum regarding local and global economic issues and how they influence production and sustainable growth in Rwanda. The purpose of the conference was to showcase the research papers developed by young Rwandan economic researchers who have been mentored, bring Rwandan economic researchers and consumers of research together as well as to use the conference as an advocacy platform to appeal for more support in the area of economic research in Rwanda. The panel of moderators was composed of people from different perspectives on research and paper presentation and design. Thus, panelists and included Dr. Alfred Bizoza, Director of Research at Institute of Policy Analysis and Research Rwanda (IPAR- Rwanda), Dr. Hermann van Bommel, Program Manager of GIZ and Macroeconomic advisor to the Ministry of Finance, Dr. Chaka Ezeanya, Director of Research and Postgraduate Studies- College of Business and Economics, University of Rwanda, Dr. Edward Batte, Senior Economist- African Development Bank and Dr. Thomas Kigabo, Chief Economist, National Bank of Rwanda. The participants presented their research papers in five groups, focusing on their perceptions of local and global economic issues and their impact on Rwanda. The presentations were followed by discussions and the panelists selected the best papers to be endorsed for publication in respectable regional and international economic journals.